Would you love to look slimmer and more tone? Do you have problem areas that you simply cannot lose regardless of how often your workout? Millions of people would love to have a magic wand to erase their problem areas. Many people turn to plastic surgery and liposuction to help shape and tone their problem areas. The problem with liposuction is that it is a very invasive procedure that leaves patients in a great deal of pain after and can cost thousands of dollar. Fortunately, there is another way to slim and tone your problem areas without leaving you in pain and without breaking the bank. Lipo-Light is the most advanced body shaping program available today and is offered here at Westport Chiropractic and Acupuncture. What Are the Benefits Of Lipo-Light? Lipo-Light can give your body a sculpted makeover without being harsh and invasive like traditional liposuction. Because the procedure is non-invasive, there is no downtime. Immediately after your sessions, you can go back to your normal daily activities. After traditional liposuction, you would require weeks of recovery. Best of all, it is affordable. You can have the body that you have always dreamed of after Lipo-Light treatments for a fraction of the cost of traditional liposuction. During the procedure, light is placed in direct contact with the skin, to deliver a consistent beam of 635nM/ 10-12mW energy. The energy triggers fat cells to release and naturally shrink. Treatment also boosts collagen in the skin, resulting in a firmer, sculpted skin tone. Each session lasts about 20 minutes. To lose a full inch, you would need to have two sessions each week over a four week period. It is important to understand that result vary from person to person. 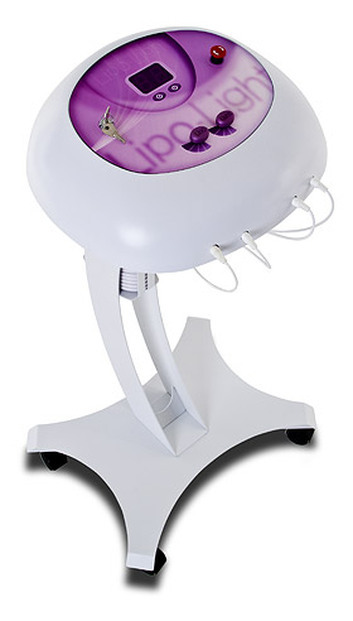 Lipo-Light is a safe, simple, and hygienic way to shape and tone areas of the body. It can even help with stubborn areas such as the waist, hips, thighs, and arms. Do I Need To Exercise During My Treatment? To lose that inch and for the maximum results, exercise is essential after each session. Exercise will create the demand for energy which is necessary to complete the inch loss process. If you have stubborn problem areas that you would like to be trim and tone, you should contact Westport Chiropractic and Acupuncture for a Lipo-Light consultation. With the help of Westport Chiropractic and Acupuncture, simple and non-invasive weight loss is possible. We are the leading provider of body contouring and weight loss in Westport, CT. As a new patient, you would be able to take advantage of our New Patient Special- just $49 for a consultation and first session with a Lipo-Light expert. If you lack confidence due to your problem areas, Lipo-Light can be the solution that you have been looking for.